FIRST ART FAIR: THE FIRST ART FAIR of the year! 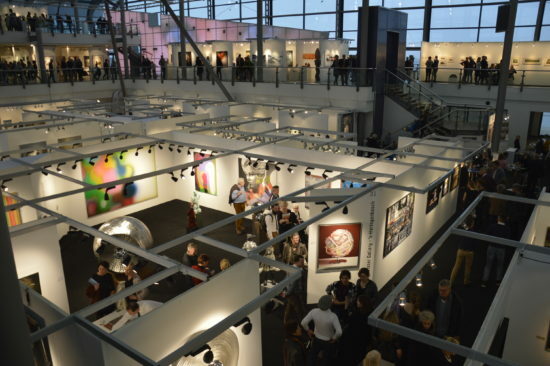 The FIRST ART FAIR is a sparkling New Year’s Fair for contemporary art, with a broad spectrum of high-level art. The second edition of the FIRST ART FAIR takes place from Wednesday, January 16 to Sunday, January 20, 2019. At the fair you will find painting and sculpture, glass, photography and jewelry from hundreds of renowned and young artists, spread over the stands of 30 selected galleries which focus on art that inspires and is made with passion and craftsmanship. For an audience that chooses art that fits their own personality. Look at participants to see who was participating in the first edition. During the fair we organize Artist Talks for art lovers who want to deepen their understanding of art. The fair takes place in the Passenger Terminal Amsterdam, located on the banks of the IJ, where during the summer large cruise liners moor and where in winter cultural events take place. Buy your admission tickets online with discount (available in due time). Photographing is only permitted with the consent of the exhibiter. Dogs are prohibited on the fair premises. Large bags and backpacks will have to be deposited at the cloakroom. There is strict security at the fair and the security is permitted to search visitors.